Trade tensions between the U.S. and China are not only affecting China, but economic growth as a whole for the APAC region, particularly the economies of Hong Kong, South Korea, Singapore, and Taiwan. However, India is the one country mentioned as being more resilient due to less reliance on trade with others which may be one factor in why relocations into India stay on the rise. “We will have a slowdown in Asia-Pacific growth in the first quarter because of trade uncertainties between the US and China. Most companies do not invest when they worry about the future and they delay investment." Taking a “wait-and-see” approach, many companies are putting their budgets on-hold due to the uncertain economic path and this will further impact the economic growth as a whole in Asia. With the unknown, this will naturally also impact the relocation industry where the investment into Asia are currently placed on-hold. A more immediate resolution may be replaced through internal movement within the country. In considering who might actually win in this process, this Forbes article explains that it might actually be Germany! Assuming that this near-term uncertainty is resolved with a more lasting compromise, particularly as it relates to the tariff details on automobiles imported into China, companies like BMW and Daimler with global supply chains will be major beneficiaries. The threat of a sharper than expected economic slowdown in China could damage Asia’s growth prospects, according to analysts. While optimism is rising over continuing trade talks between the United States and China, they have yet to reach a deal and remain far apart on key structural issues. If the conflict were to intensify, China’s challenge would be to cushion its economy from a fall. 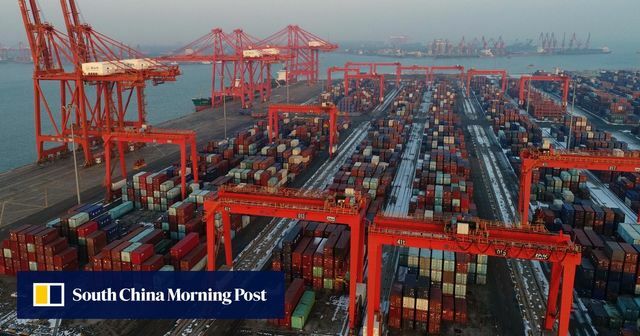 China’s latest data on foreign trade, gross domestic product growth and the purchasing managers’ index suggest the economy will continue to slow, at least for the next month or so, meaning a hard landing is not anticipated for now.